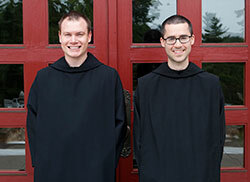 Benedictine Novices Matthew Sprauer and Bradley Jensen professed temporary vows as monks of Saint Meinrad Archabbey in St. Meinrad in a liturgy in the monastery’s church on Aug. 6. 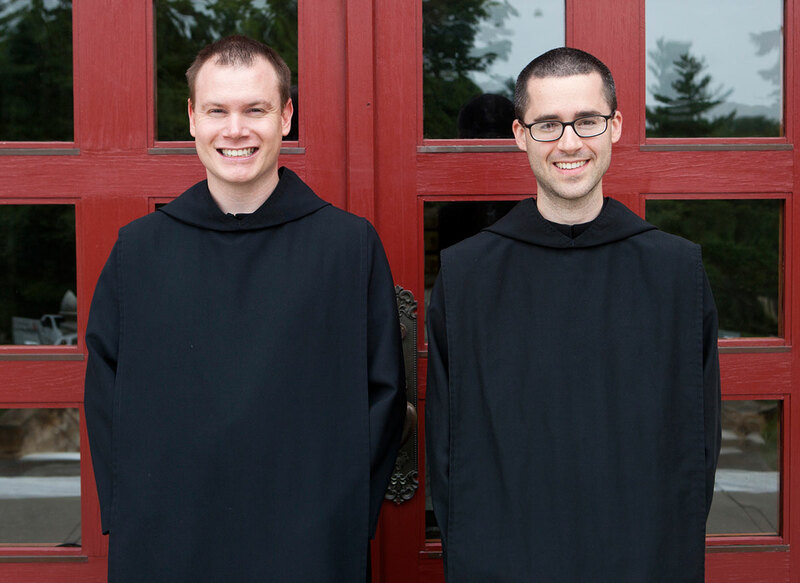 Their profession of temporary vows marks the end of a year of prayer and study of the Benedictine way of life. As is the custom during the profession of vows, each was assigned a religious name. Novice Matthew will now be known as Brother William. Novice Bradley will be known as Brother James. Brother William, 29, is from Piqua, Ohio, and was a member of St. Francis of Assisi Parish in Centerville, Ohio. He is a 2006 graduate of Ohio University with a bachelor’s degree in computer science. He has more than five years of experience in software development for the defense industry. Brother James, 30, is a native of Iowa City, Iowa, where he was a member of St. Mary’s Parish. He earned a bachelor’s degree in business administration from the University of Iowa and a master’s degree in accounting science from Northern Illinois University. He passed the Certified Public Accountant exam, and worked in corporate finance before coming to Saint Meinrad Archabbey.